"How much is this model again?" 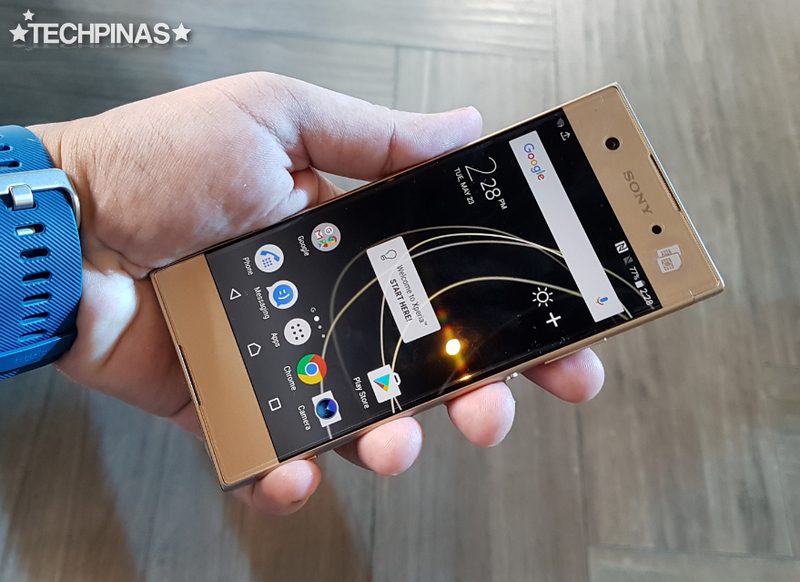 I asked our friends from Sony at the exclusive media event on Tuesday - May 23, 2017 - held at BlackBird Restaurant in Makati City while holding their all-new Sony Xperia XA1 midrange Android smartphone. "Just Php 14,990, Mark." They answered. I looked at the smartphone in my hand again - taking a note of its design and build, played with the interface, and tried out the camera. Then, I told them, "I think this release will do really well in the market if properly promoted." 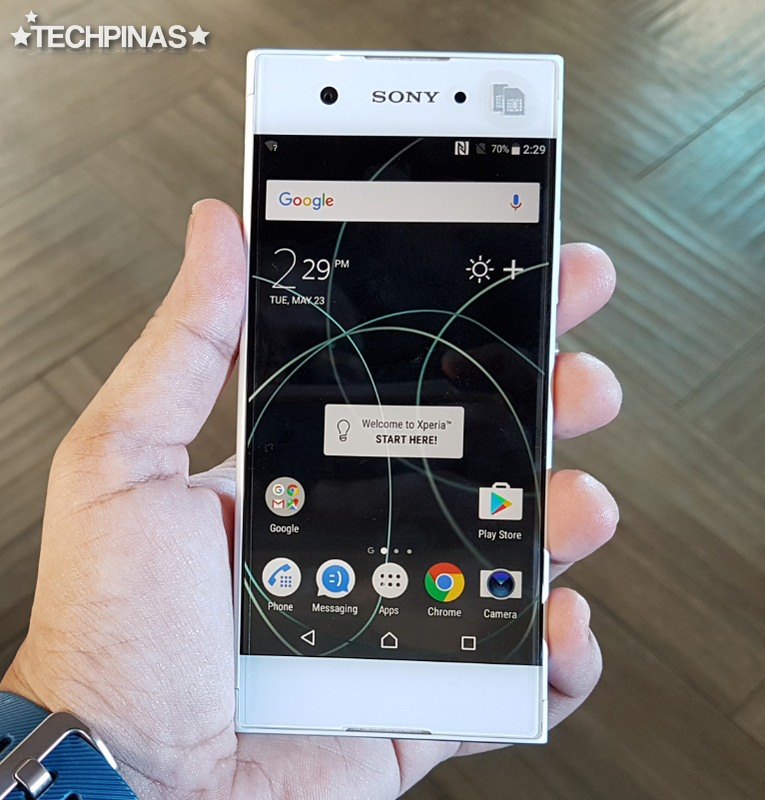 Previously, a phone of this caliber from Sony would cost at least Php 20,000 - given the notoriously high price tag of Xperia handsets - but this model sure is a breath of fresh air. 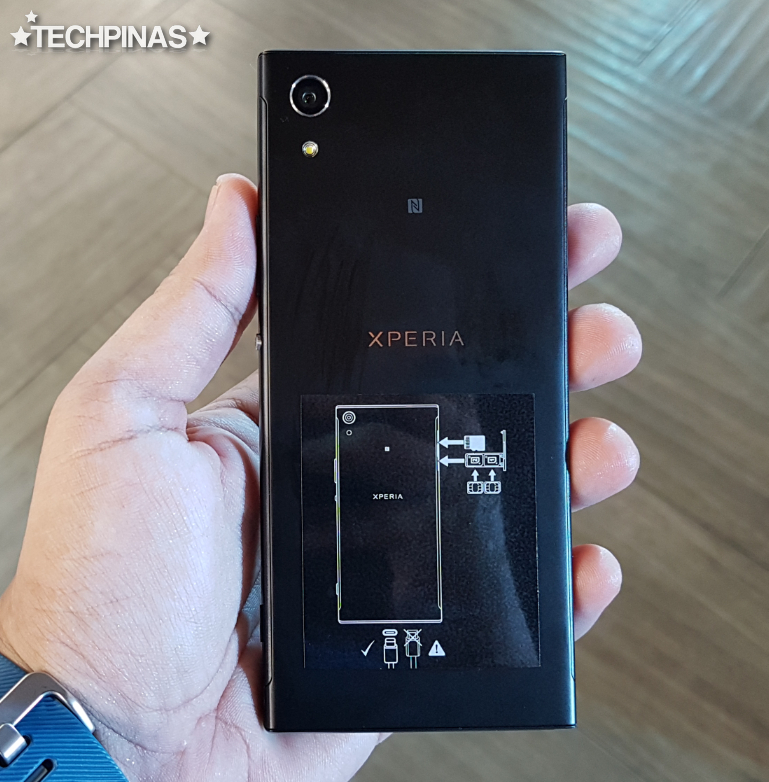 Not only does the Sony Xpera XA1 have so many cool features and selling points but it's also priced very competitively for a handset by this legendary Japanese tech giant. 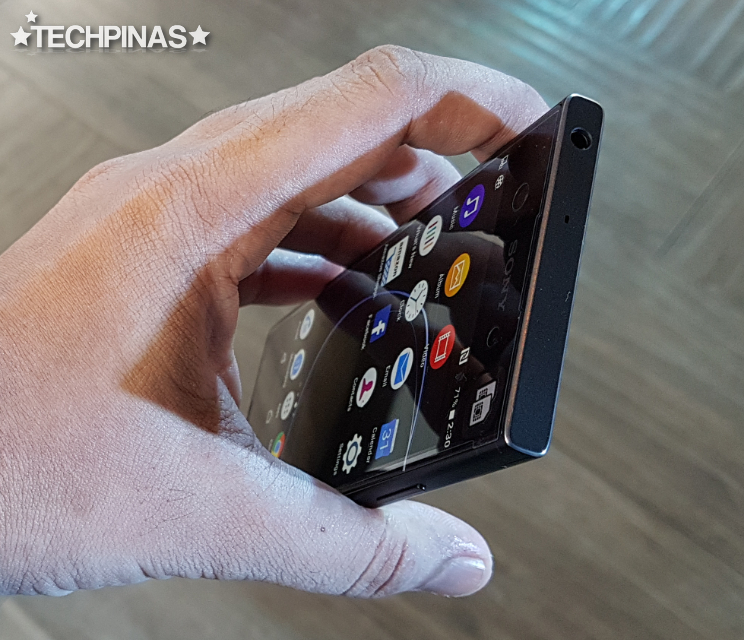 The first thing that I found very impressive about this model is the bezel-less look of its 5-inch HD IPS display. 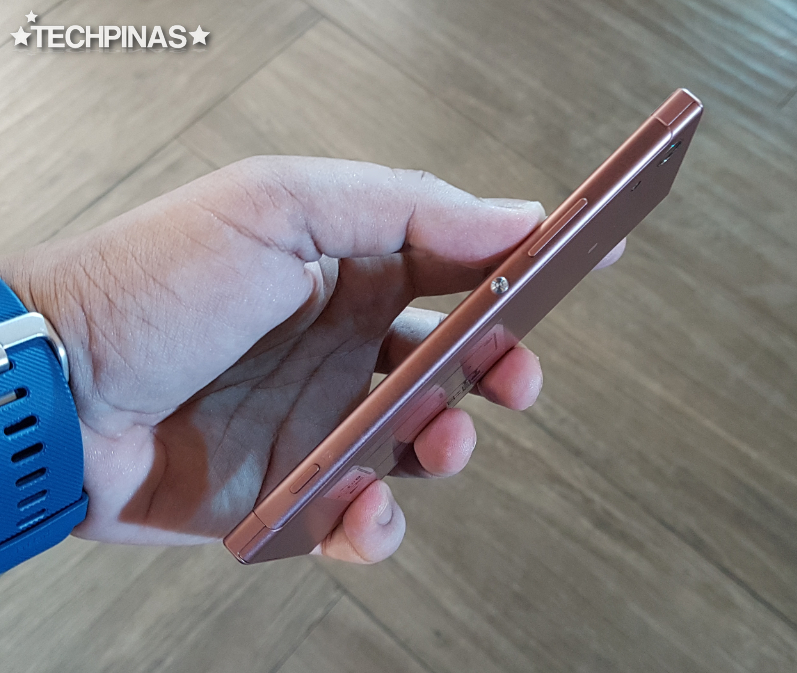 Holding the phone like this - as shown in the photo above, it seems like you're already touching the sides of the display itself with your hand. 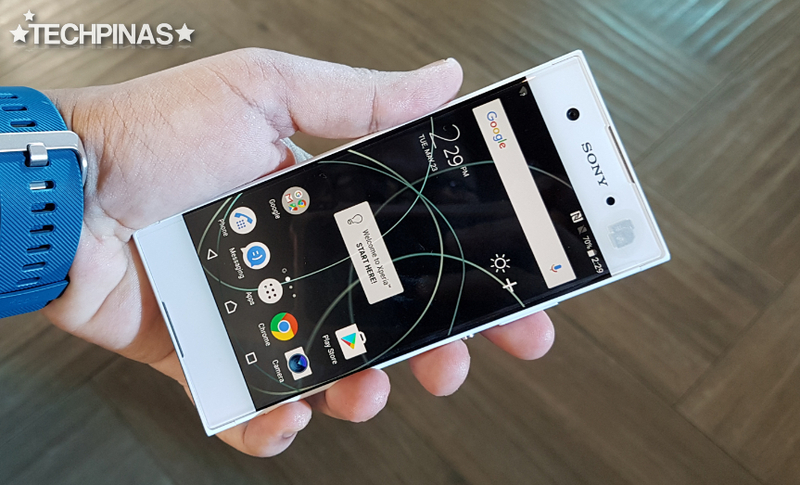 Combined with the rather tubular design language of the device, the Xperia XA1s face sure make this release one of the more gorgeous Android smartphones in the mid-level price category currently. The back plate of the phone is made of polycarbonate and is non-removable. It has a metallic paint finish which helps give the phone an air of corporate elegance. 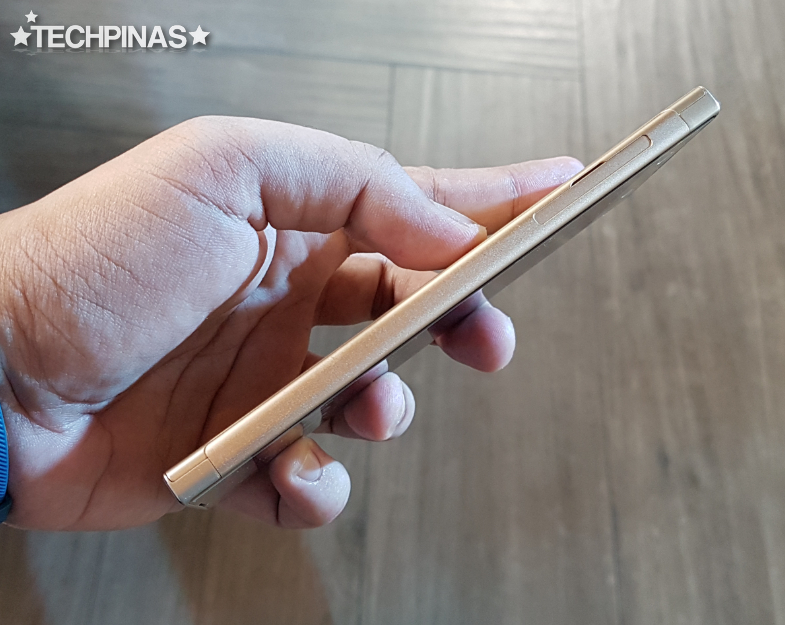 Aside from aesthetic purposes, the bezel-less look also allows the handset to be very slim, which makes it easier to grasp in the hand and to keep in the pocket. The second thing that's amazing about this phone is its 23 MegaPixel PDAF rear camera with f/2.0 aperture and Exmor RS mobile sensor for enhanced low light performance. Again, previously, a camera of this caliber on an Xperia smartphone was only possible on high-end models. I got to try out this shooter and I'd say it performs quite well in well-lit settings. 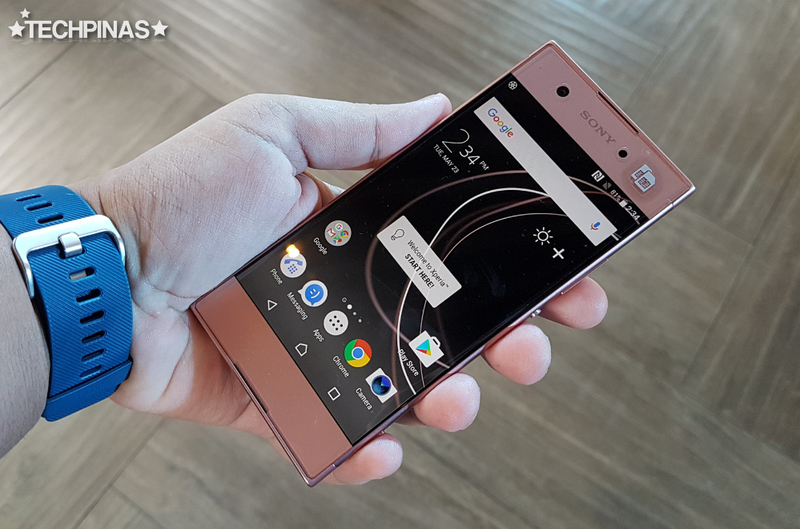 It also launches and focuses on the subject quickly -- two things that can be done using the Xperia XA1's hardware camera button. The main camera is complemented by an 8 MegaPixel front facing shooter for selfies. This one also has an f/2.0 aperture for enhanced low light performance and wide-angle lens for easily fitting in your friends and loved one in every groufie. Sony Xperia XA1's internal hardware work together to give the smartphone decent 3D gaming and overall touch performance. Powered by a non-removable 2,300 mAh battery pack that should be good for a whole day of uptime with regular use, this release runs its Xperia-UI-skinned Android 7.0 Nougat operating system with a 64-Bit Octa-Core ARM Cortex A53 and Mali-T880MP2 GPU based MT6757 Helio P20 processor, which is one of the most powerful chipsets from MediaTek currently. The processor is complemented by 3GB of RAM for relatively smooth multitasking experience as well as 32GB of internal storage that can be easily augmented using the secondary hybrid nanoSIM slot that also supports microSD card memory expansion. 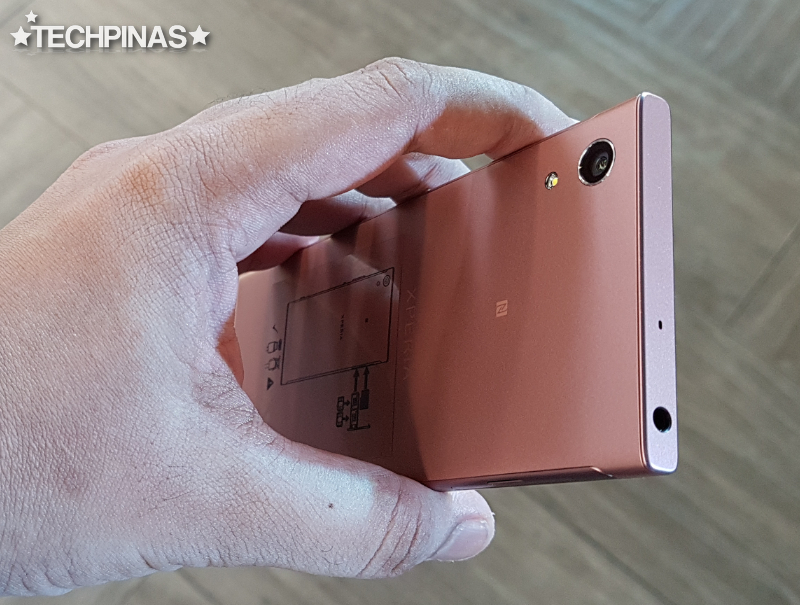 Available in four colors, namely, Black, White, Pink, and Gold, Sony Xperia XA1 is now available across the Philippines via Sony Concept Stores and authorized retail channels, including those that are online. 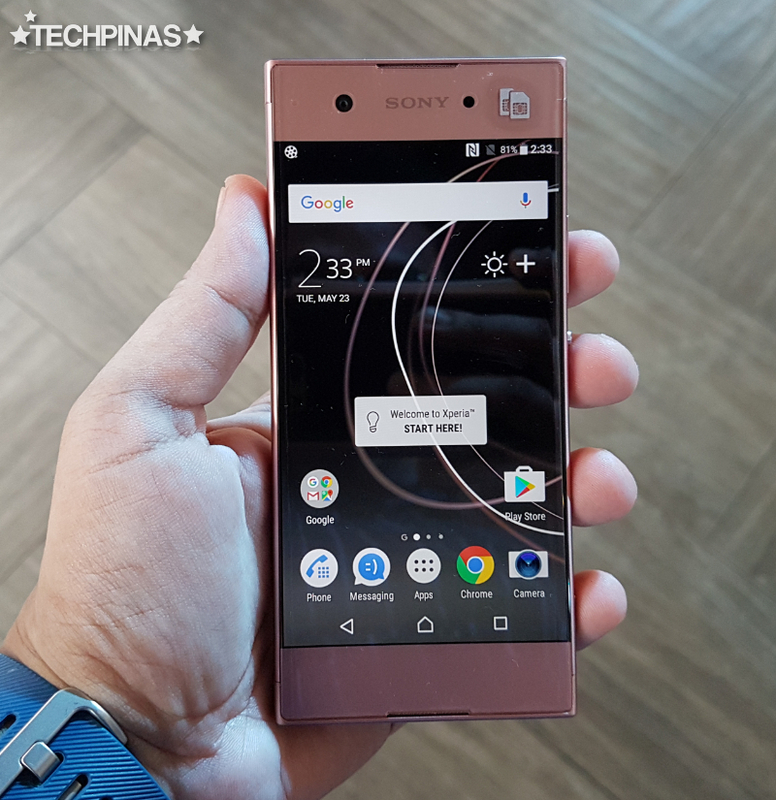 I've yet to fully review this visually-arresting midrange model but off hand, I think it's a pretty good purchase for its price -- especially for mobile consumers who have always looked up to Sony as an electronics company and trailblazer in the tech industry.